Customer Service is an integral part of our job and our guests feedback is important to us. 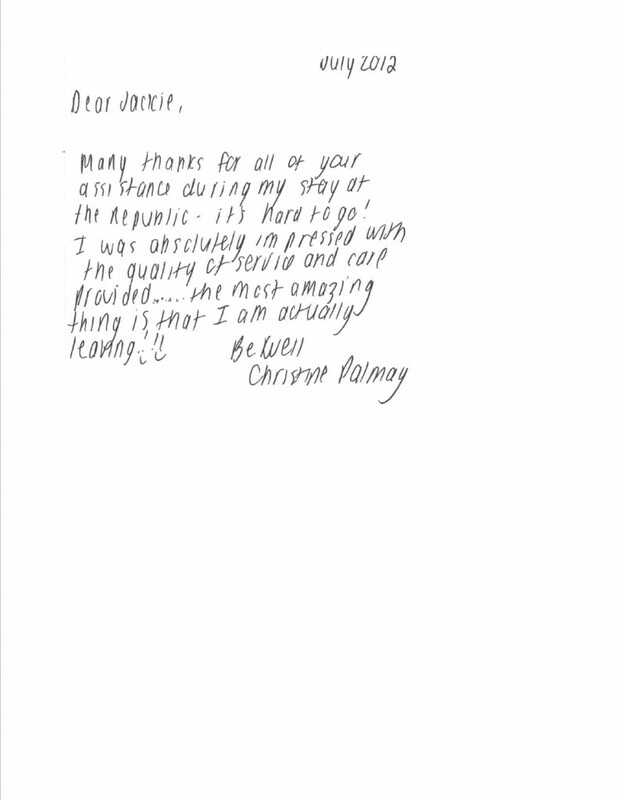 Below is a thank-you card from one of our past guests’ for the quality of service and care that we provided throughout her stay, in her furnished apartment in Toronto. Our committment is to ensure our customer’s experience is enjoyable! We would love to hear from you! Share your DelSuites experience by sending your feedback here.